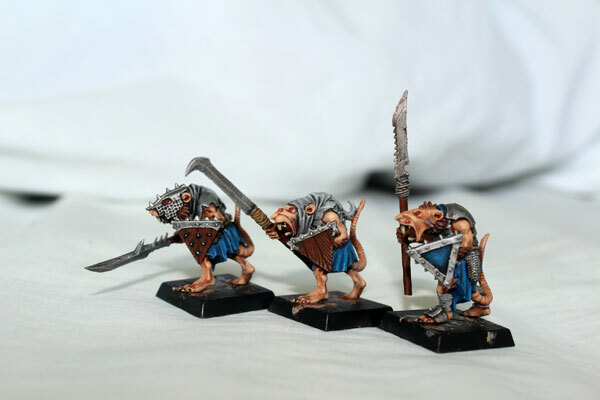 These three are part of regiment of 30 Skaven Clanrats with spears and shields and wearing light armour. The regiments is build from 7th edition plastic models. I used only those models form The Clanrat Box Set with light armour, those without any (wearing only rugs) received hand weapon and became slaves:) I have 10 of such Clanrats with me in Mexico, and the rest are waiting for me in Poland. So far I painted 12 (18 to go…). View from my room. 3 minutes to the beach, and the weather is perfect! What I can only complain is light in the hotel room. Usually I paint early in the morning or late at the evening. But here, I don’t have any proper source of light. The only lamp in our room doesn’t provide sufficient lighting. It is no way I’m able to paint in such conditions. I needed to change my routine – so I paint right now around 2pm every day for circa 2 hours. This is little inconvenient – I need to take a break from the work, which I don’t like. But, well, I love to paint, so no other solution here. Anyway, I finally managed to finished those three. I painted their clothes in blue and white (it’s more light grey to be honest – it was white back in the days;). I paint all my Clanrats like that. In late 1990s I had nice around 5000 points Skaven army but most of the models in the army were unpainted. I was more about gaming than painting those days. I used to buy tons of minis those days and I never had time to finish whole army. 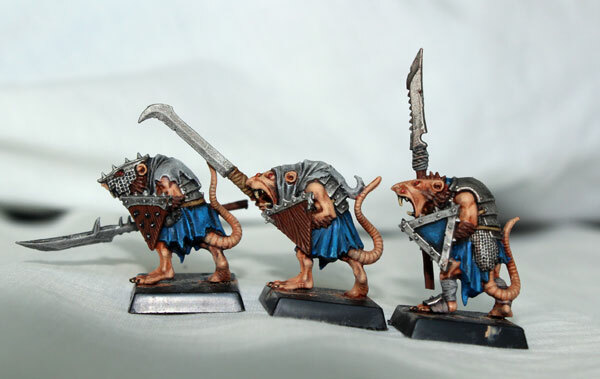 I had maybe 10 Clanrats painted (of around 100) but all of them were white and blue. 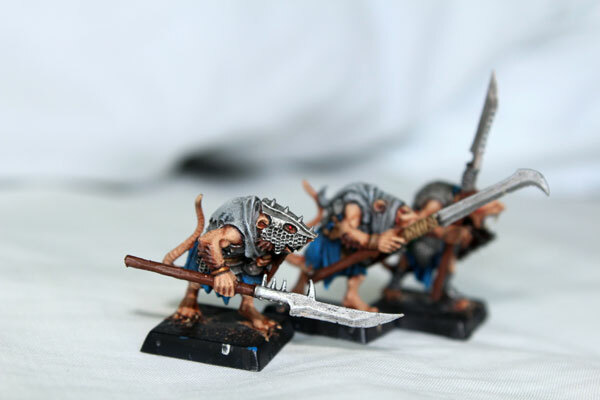 I don’t know why I like these Skaven Clanrats colour. Its the matter of aesthetics, I guess and this became kind of my tradition. Anyone have any clue what Clan has these colours? Other thing – the Clanrat unit size of the regiment. How many of them should I deploy in one unit? The answer: as much as possible. My regiment will have only 30 which is clearly not enough for purposes of competitive gaming. As I explained in post about Stormvermin – I don’t like competitive games any more. I prefer more casual battles with more emphasis on fluff. I think 30 of Clanrats is clearly enough for that. 6 ranks of 5 rats will look awesome enough on the battlefield. I will add some cool Weapon Team – Ratling Gun or Warpfire Thrower and it’s going to so much fun! And destructive power too – to bring the pain to the opponent (or to my poor Clanrats in case of some treacherous misfire:). 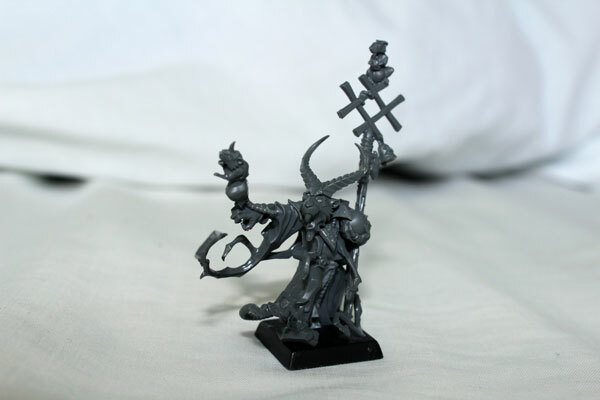 Beside finishing the Clanrats I finally assembled my End Times Grey Seer yesterday. It looks so awesome and finally I have ability to paint him. 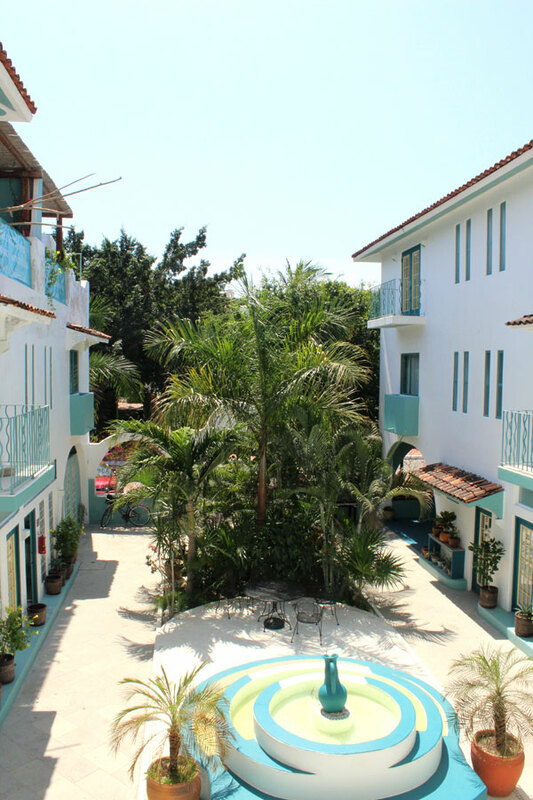 And I’ll have plenty of time to dos so, since we’re staying in Huatulco for longer time. Until next time! Skaven Grey Seer from End Times is waiting to be painted. Very nice painting. That blue colour works really well with the fur. I can only be envious of your painting station woes! Nice one – blue works really well on them (perhaps they’ve been looting clothes from slaughtered High Elves?) I had a flick through Uniforms and Heraldry of the Skaven but couldn’t find a clan that wears blue, certainly not in the shade you’ve gone for. It looks great though so I say make up your own clan! Wow! Your art is so clean. How do you get those crisp lines? Envious of your skills …and your room with a view 🙂 Thanks for sharing. Previous PostDiscworld will go on.